Cost and space saving Workstation with Integrated Anti-Vibration facilities. 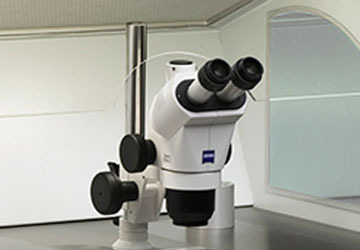 Designed as two workplaces — the right side is for mounting of a stereomicroscope and left side is dedicated to an inverted microscope for performing ICSI / IMSI in clean air. The MP version is cost and space saving by integrating the Anti-Vibration facilities into the Workstation while at the same time giving overall aseptic Work conditions. The Gassing and Humidification System — Maintain the pH in the media during operations. Durable — up to 35.000 hours of continuous light.